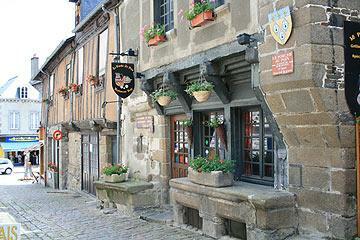 Dol de Bretagne is near the coast of north-east Brittany, 25 kilometres west of Mont-Saint-Michel and about the same distance east from Saint-Malo. 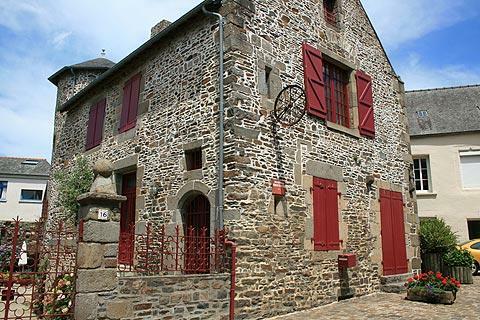 Your visit will start in the attractive medieval centre of Dol-de-Bretagne old town. 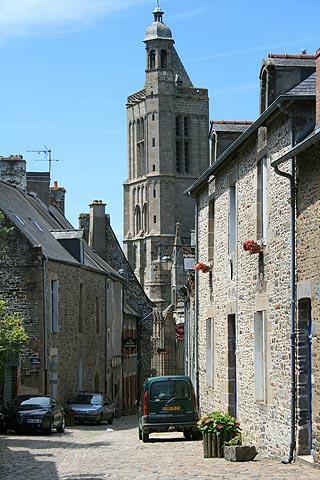 Here in the old town the 12th century cathedral of Saint Samson will be the first monument to attract your attention. 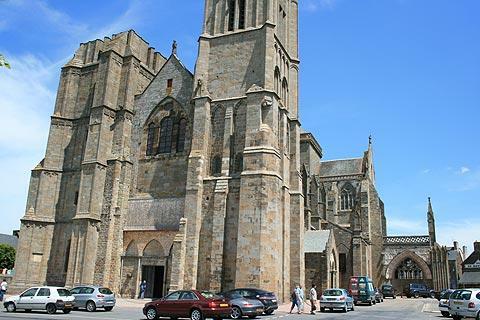 The gothic style cathedral is very large given the current size and population of the town, but this is because Dol de Bretagne was an important bishopric in days gone by. Highlights of the cathedral include the ornate carvings around the south entrance, the stained glass windows and the renaissance style tomb of a 15th century bishop. On the same square as the cathedral you can also visit the Cathédraloscope, a fascinating place that explains the techniques used in medieval times to build such magnificent buildings and how they were decorated. Dol de Bretagne is reputed to be the origin of the Royal House of Stuart, the future kings of Scotland. Wandering south of the cathedral you enter the streets of the old town. The most important streets are the Grande Rue des Stuarts and Rue Lejamtel. 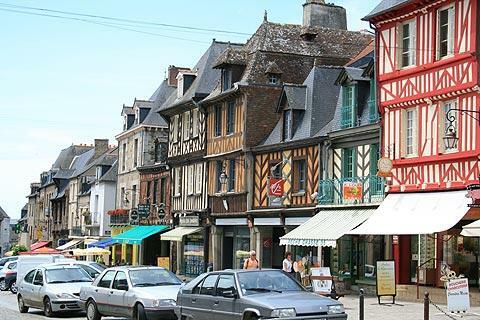 In this part of the town there are lots of beautiful half-timbered houses and architecture dating from the 11th century onwards, and also many houses built in the traditional granite used in Brittany buildings. 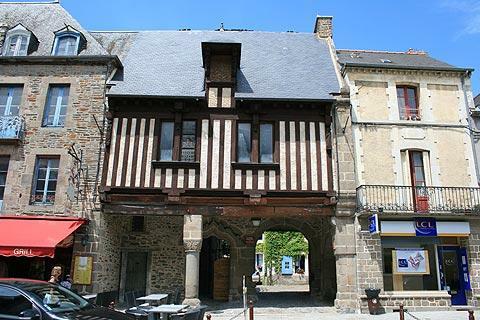 Be sure in particular to see the 11th century building called Les Petits Palets which is said to be the oldest stone built house in France! 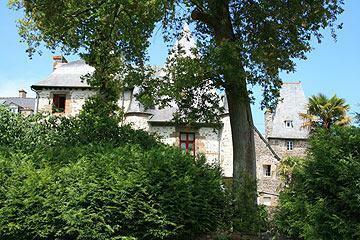 Pass behind the Rue des Stuarts onto the Ruelle du Robinet near the Post Office to catch a glimpse of the beautiful XV/XVI century Manoir du Quengo. The public park and 'Promenade des Douves' offers good views across the marshes and out to the sea which is now several kilometres away. There is a good section of remaining ramparts here too. 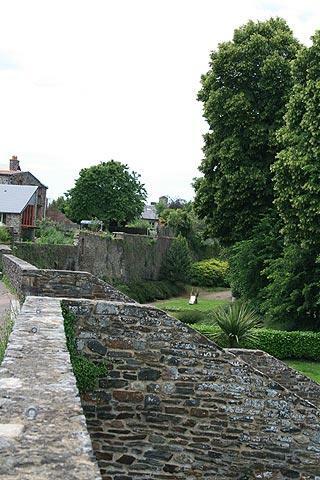 Originally there were 1.5 km of ramparts and 12 towers surrounding Dol-de-Bretagne. 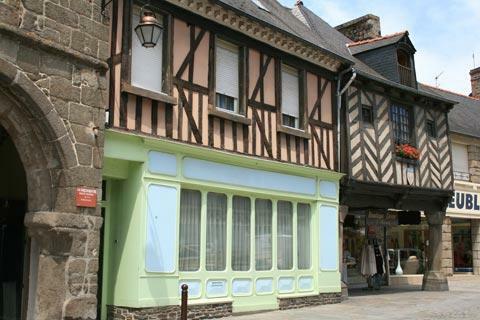 You can pick up a useful leaflet from the Tourist Office in Dol de Bretagne with all the notable buildings marked on it to help guide your visit. 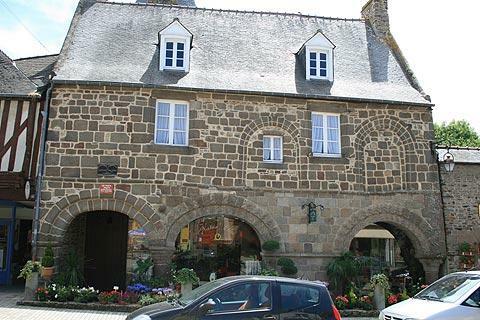 The historic museum in Dol also has some interesting artefacts rescued from various churches in the region. One particular attraction on the edge of Dol-de-Bretagne is a Neolithic menhir - the Menhir du Champ Dolent - (standing-stone) that is one of the tallest and most impressive in Brittany, at 9.3 metres tall. Points forts de la cathédrale comprennent les sculptures ornées autour de l'entrée sud, les vitraux et le tombeau de style renaissance d'un 15e évêque de siècle.